Missouri Middle School pulls critically acclaimed YA novel after pressure from local lawmaker. Reed Academy in Springfield, Missouri pulled the book twice recently, in order to review it after concerns regarding an ineffective permission slip and the book’s profanity were brought to the attention of the school and local lawmaker Rep. Sonya Anderson by a middle school parent, Jennifer Wilken. 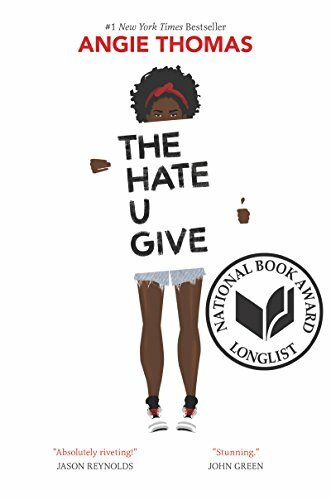 The Hate U Give, which was on the long list for the National Book Award, was pulled from the class to evaluate the permission slip which according to Wilken was so vague it lacked even the book’s title. After a short period of time, the teacher sent home a more accurate permission slip and reassigned the book. “When I was told the book had been reassigned after I’d been told it was pulled, I was deeply concerned,” said Sonya Anderson, a Missouri representative for over six years. Before becoming a public servant, Anderson’s biography lists more than “twenty years of experience in small business and management.” It appears she has no experience teaching literature or middle school, but regardless she bought and read The Hate U Give, to make a more informed argument to the school. Anderson also told Springfield New-Leader that she “questioned some of the character’ attitudes towards law enforcement, noting the dialogue included phrases like ‘F the pig, F the police,” and that she felt the teacher exercised poor judgment in this assigning this text. Angie Thomas’ debut novel is about Starr Carter, an African American 16 year old girl, who witnesses her unarmed best friend, Khalil, shot and killed by a white police officer. Starr is caught between her poor black neighborhood and the privileged white suburb she goes to school in, as tensions in the community rise. According to Stephen Hall, chief communications officer for the school district, after the book challenge went through the appropriate channels,” the book was pulled indefinitely, pending the outcome of the committee’s full review.” The committee will consist of a group of teachers, parents, and administrators and it could take as long as two months for the book to be reviewed and a recommendation to be provided. The value and impact of any textbook, library or other instructional material will be judged as a whole, taking into account the purpose of the material rather than individual and isolated expressions or incidents of the work. Multi-cultural, disability-aware and gender-fair concepts will be criteria for selection of materials. This language from this policy might be the key to getting The Hate U Give back in the classroom. In all the uproar of the book’s profanity, no one mentioned that this book is inspired by the Black Lives Matter movement, which gained national attention in 2014 after the police shot and killed Michael Brown in Ferguson, MO, less than a four-hour drive from Springfield. While some parents may find fault with the language, some others may find it helpful in addressing complicated questions their children have regarding wealth inequality, police brutality, grief, activism, and race. By unequivocally pulling the book, not once but twice, from the classroom, the student’s First Amendment rights are the ones violated, in making their own informed decisions about reading the book.